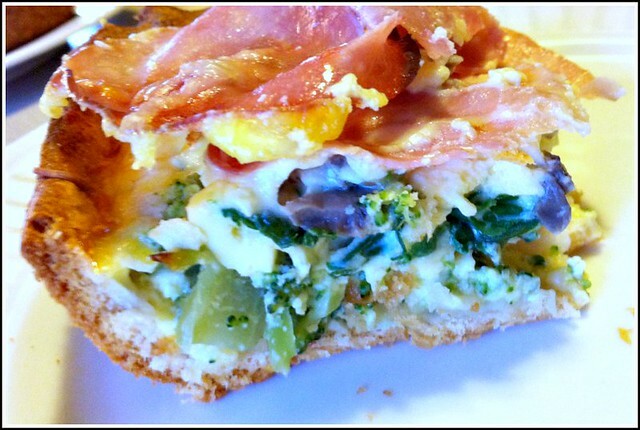 I have a new favorite breakfast recipe… and it’s really, really easy! And since I’ve gotten into a bit of a “breakfast food rut” lately, I decided I needed to come up with a new recipe last week. 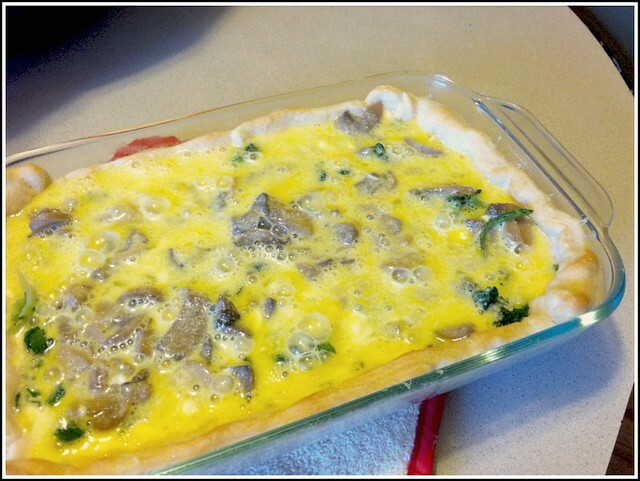 I searched around the web, and found this recipe for Quick Quiche. It looked good, and I was excited since it didn’t require a complicated crust… just simple crescent roll dough. I made a bunch of changes, but used the same crescent roll crust — which was SO light, buttery, and flaky. It turned out fabulously, and since crescent roll dough usually doesn’t stick, clean-up was a breeze. 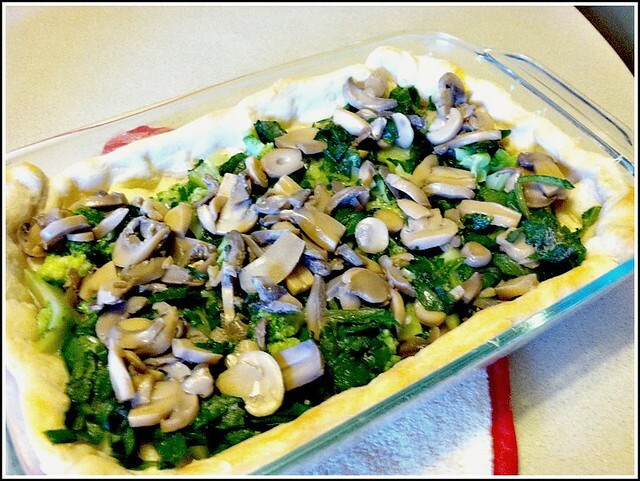 Have you ever tried freezing an egg dish or quiche? I just tried my first bite of this recipe and it is fantastic! There were only three substitutions; diced prosciutto instead of sliced ham, peas instead of spinach and I added some onion powder. Thank you for such a great easy recipe! Yum! Your substitutions sound delicious Beth!! This looks delicious! We are going to try it for dinner on Wednesday. 🙂 Thanks for posting. Oh this looks yum! I plan my menus weekly and quite often we have breakfast night. It’s quick, easy, and healthy! Although, lately, I seem to have issues with the waffle maker…. This sounds great! I’ll give it a try, soon. Looks really good. It is something I would eat but my husband is another matter. Plus I have to cook gluten-free casein-free for my autistic son. May try to adapt it though since he loves eggs. Kerri, we eat gluten free here and I just make quiche without a crust. So, essentially it is a egg pie without the crust. Just butter the dish and add in whatever ingredients you like and bake as Andrea suggested. This is what we eat, without the dairy. Well, we do eat a bit of dairy, and that is raw goat cheese. Other than that we are dairy free and gluten free. My family loves it and is one of our favorites. You can also omit the crust and make a fritatta. Or you could add a cup to a cup and a half of boiled chopped potatoes to make it different. Sounds really good 🙂 Yep, I’ve put quiche in the freezer several times…although with traditional pie crust. I do bake it all the way through before freezing. When I’m ready to eat, I put some foil over the top and pop in the oven for around 30 minutes or so. 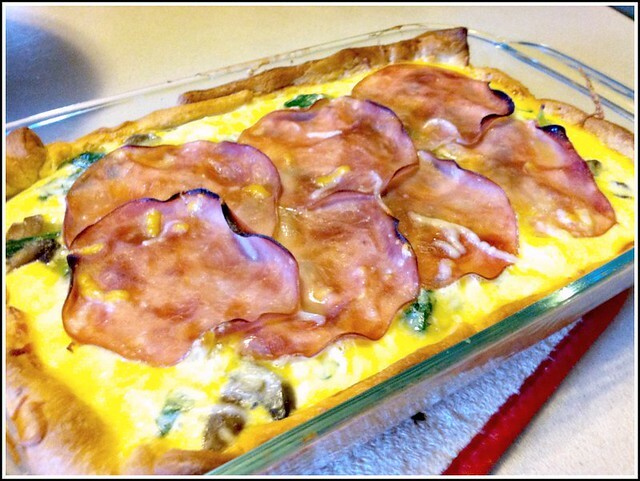 I Loooove quiche so I’ll be trying this. The broccoli is an interesting addition I wouldn’t have thought of.